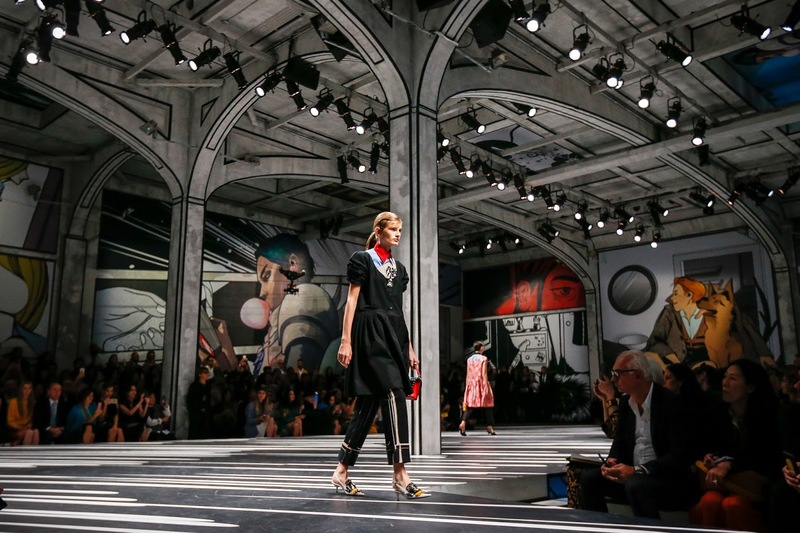 Miuccia Prada never strays too far from a veiled political agenda. Never explicitly stating her opinions on the politics, her two cents are implicit in her work, with various undertones suggesting alignment with certain belief systems. 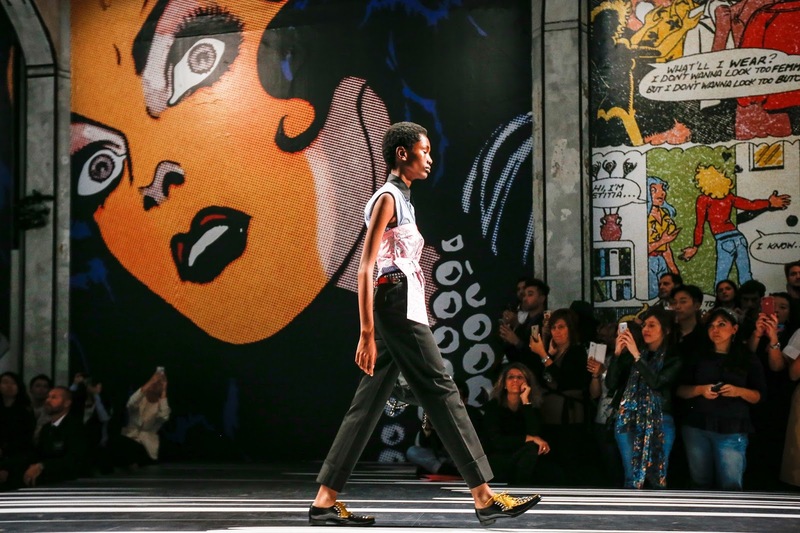 Her Spring 2018 show at Milan Fashion Week was pointedly feminist; she acknowledged the global oppression of women and how there is still a long way to go before the women's rights movement achieves its goals. If anything, her collection served to dress the women who participated in the Women's Marches that dominated discourse in the beginning of the year—undoubtedly a reaction to the inauguration of President Trump, a notable misogynist and anti-feminist—or many of the 30,000 activists who stormed Dublin, Ireland recently to urge the people and the government to repeal the 8th amendment which bans abortion and disallows the right to choice. Galvanisation is the word of the day. 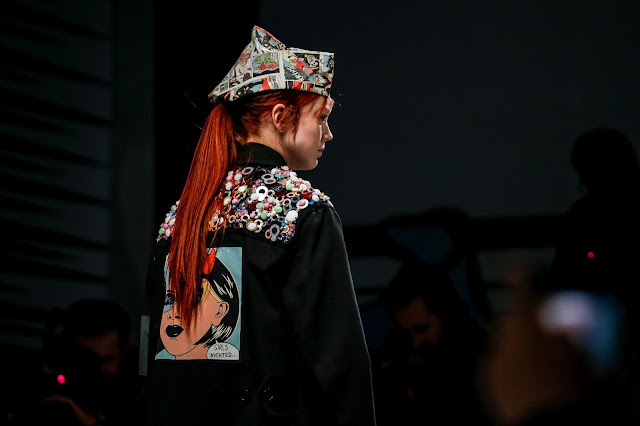 Is it possible for fashion to galvanise the people? If the clothes speak loudly, clearly, the answer is yes. Beginning her reference journey in the 1930s and working her way through to the 1970s, Mrs Prada handpicked silhouettes throughout the ages and avoided anachronisms. 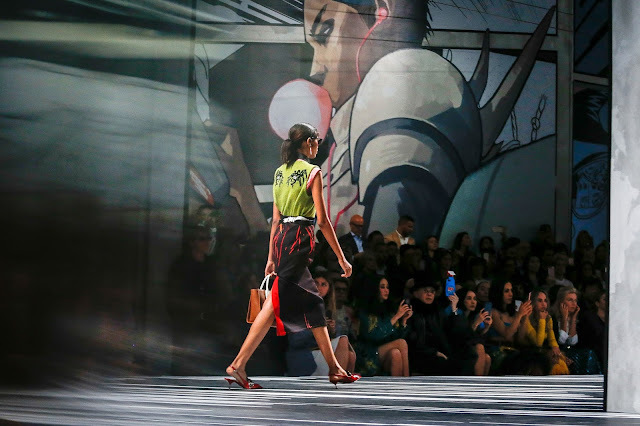 She revived her interest in high and low culture: a blue striped shirt and black trousers were enriched with the addition of a bejewelled, pastel pink corset and bow. There were slimming pencil skirts, men's tailoring and bike shorts. It felt simultaneously random and deliberate, here nor there. The complexity of the mix was rather visually appealing. 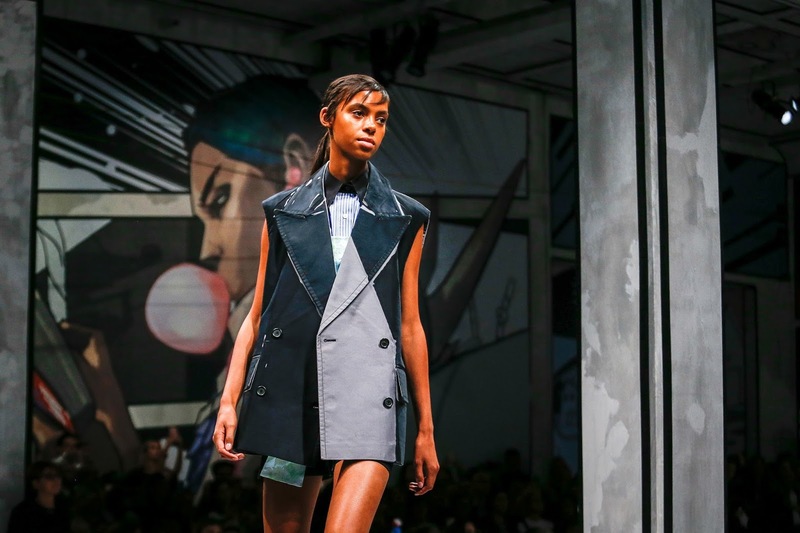 The effect of layering dresses with trousers, dresses with shirts reaches further than the stylishness of the layering trend in contemporary fashion. Black trousers underneath 50s-inspired house-dresses simply states: women wear both dresses and trousers nowadays, it is a lifestyle, a reality. Ditto the functionality of pairing sleeveless shirts and knitted sweaters with 70s-inspired prom dresses. 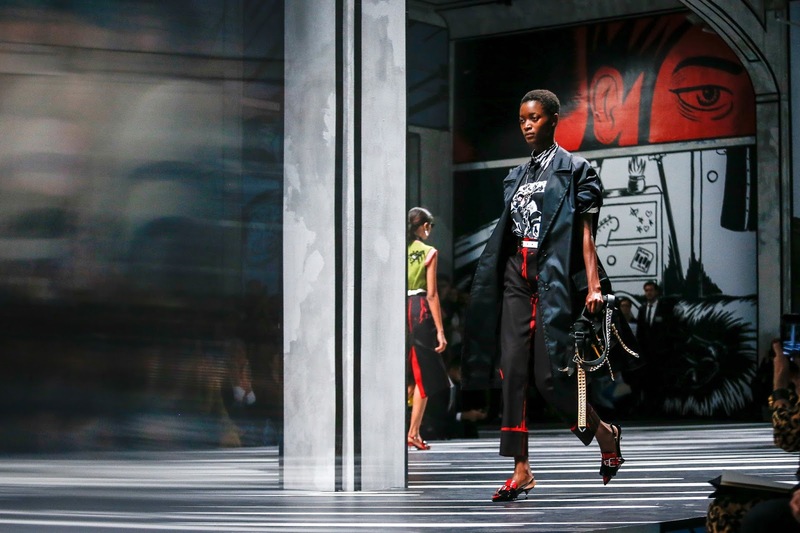 The boardroom, the ballroom: the Prada woman is fit for either. Sleeves were rolled up on coats, it's time to strike while the iron is hot. 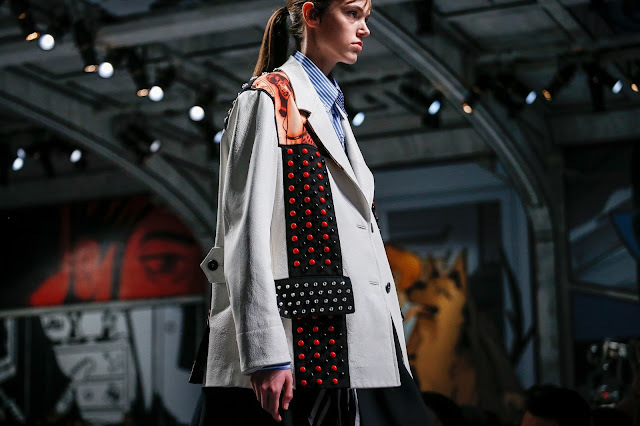 Often it is the case the styling at Prada is overwrought, a commercialistic endeavour with little purpose other than to stuff looks with as much product as possible. For Spring 2018, it told a story effectively and powerfully. 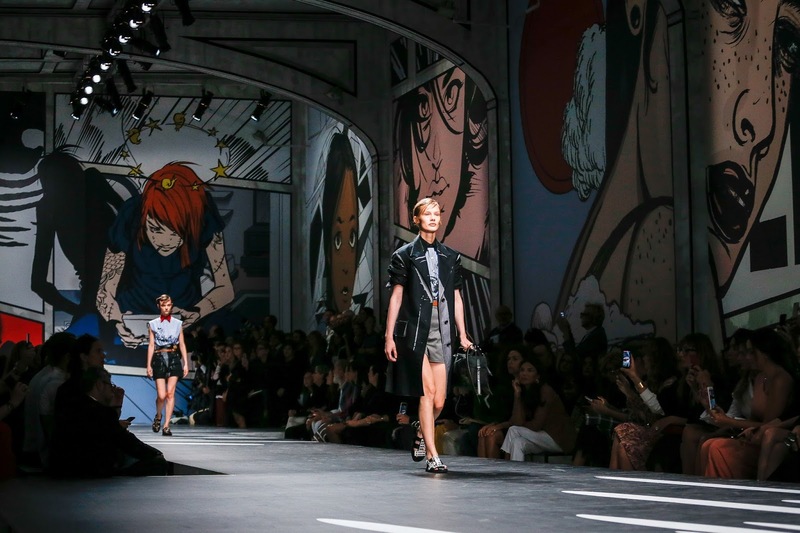 The comic-book strip setting, produced by Rem Koolhaas' OMA, may seem familiar. 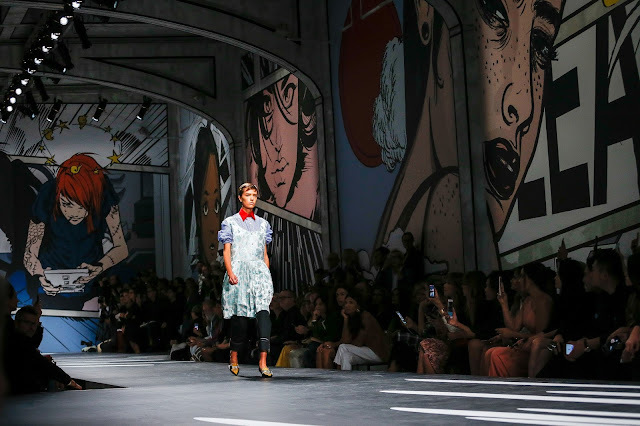 At the menswear show in June, Mrs Prada introduced the motif. Here, without it becoming banal or, worse still, 'done', she shifted the tone: all the artwork was designed female artists. Brigid Elva, Giuliana Maldini, Joëlle Jones, Trina Robbins, Emma Ríos, Tarpé Mills, Natsume Ono and Fiona Staples were amongst those featured. (Robbins, for example, was the first woman to draw Wonder Woman in the 1960s. The world of Joëlle Jones is perfect for Prada—she is the creator of Lady Killer, a "Betty Draper meets Hannibal"-inspired anti-heroine, a homemaker with a murderous streak; it complements the perverse domesticity that has become a cornerstone of Mrs Prada's work. One black pencil skirt had red splatters, perhaps the aftermath of a massacre. It wouldn't be a Prada show without the macabre.) These artists were pioneers in their fields, be it the comic book or manga milieus. It added credibility to the setting more than anything. The set was still reminiscent of the previous outing; the clothes were also familiar. This time around things were rendered in a more thoughtful fashion, she breathed a new life into both the set and the clothing. However, it doesn't detract from the statement: the clothes were familiar. This show would've held more impact for the viewer had one not felt like they'd seen it before.